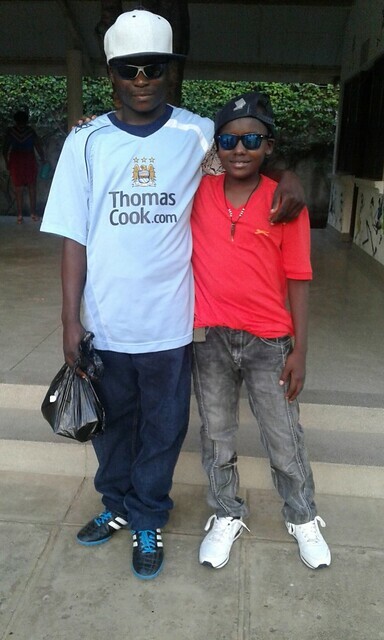 It was on Friday evening when we came home from school then Madam Mercy told us we are going to have our birthday party on Monday the 6th June, 2016 as it is the birthday of Papa John McKenna (R.I.P). 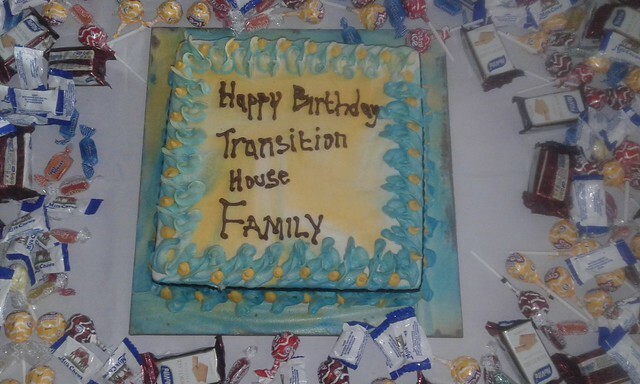 When I heard this news I felt happy as a king because this was the first birthday for the transition house family. When it reached Saturday morning, Madam Valentine went to the shop to buy for us the birthday cake and other items which were needed for the birthday party. 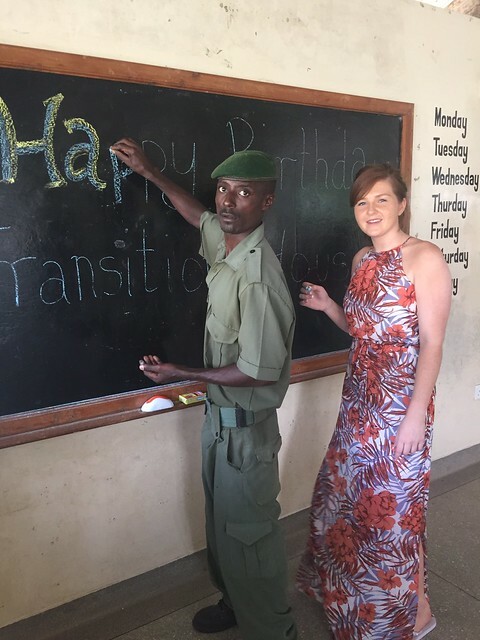 We were even more excited to celebrate our 1st Birthday as we were joined by Stacey & Shannon McKenna from the UK, this was going to be one very special birthday party. Before Monday, all the children were talking about what the birthday party for the McKenna Boy’s Wing would be like as we had V.I.P’s here. When Monday arrived, I woke up early in the morning as always. I took a warm shower which makes me as fresh as a daisy and after that I put on my school uniform which I had neatly ironed. Thereafter I walked to school in a majestic way as it was our birthday. When it was lunch time I rushed home to greet the staff; I saw the T.V room was nicely decorated with balloons, crepe paper and other more things. My mother told me to call other children so that they can go to the T.V room. When we were approaching the T.V room we were welcomed by the sweet aroma of tantalising food such as pilau, fish and other meals. 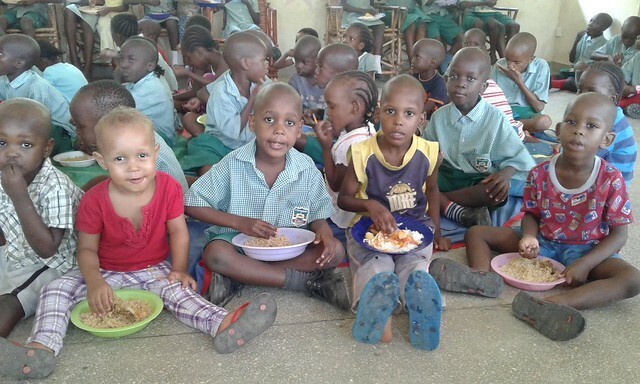 After eating lunch which was very delicious, we went back to school and continued with our lesson. 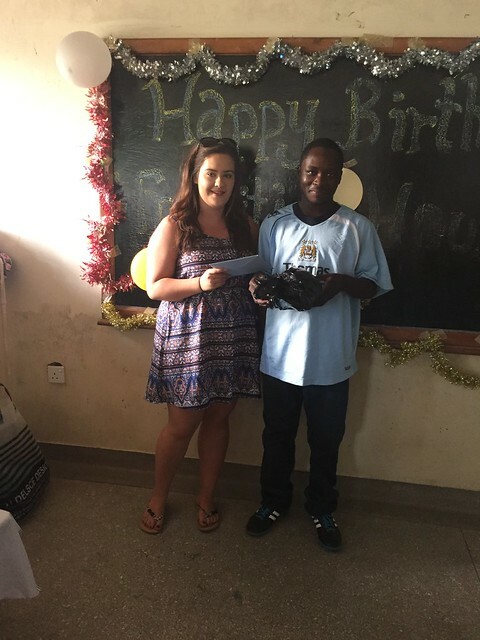 The birthday party was to take place at lunch hour but Shannon, one of our important guests was unwell and she had gone to see a doctor. I was anxiously waiting for the time to go back home and continue with the birthday party. After the afternoon lessons, we swept the classrooms and went to our clubs; my best club is the one for art. Later Mr. Joseph came to call all the children from GLO from the clubs so that we go home early. On reaching home, I entered the T.V room. Uncle Hemed came and told me if I could change my clothes. I quickly went to my room; I wore my best Sunday clothes then went back to T.V room. The Master of Ceremony was Caleb Babu and he started off by greeting us. He invited those who were going to entertain us to come in front. The highlight of the entertainment was when Stacey sang for us an Irish birthday song, she played a flute which was good but we now know this is called a Tin Whistle. When it reached my time to entertain others I acted a drama and everybody was happy. 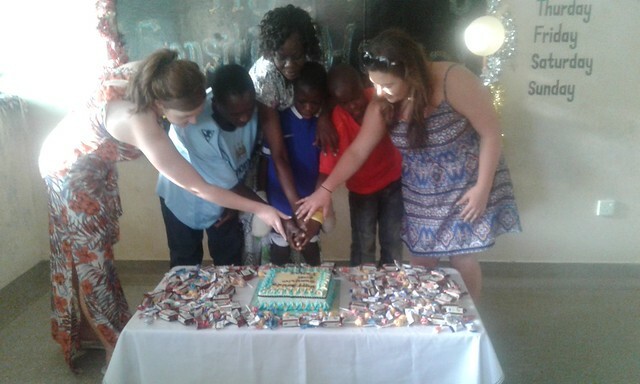 The time of cutting cake arrived; we cut the cake together with our volunteers, Stacey, Shannon and Mama Christine. Little Saidi joined us and he really enjoyed the cake. We also had soda, juice and biscuits. When the time of giving gifts came, my eldest brother Saidi was called and I was the second to be called. I received a cap, sun glasses, school material and other things I got from the gift pack. 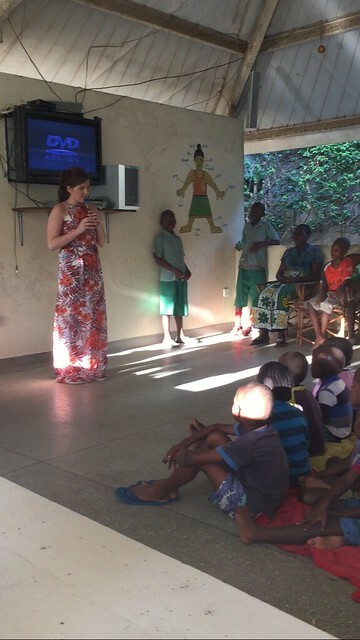 The other children looked in awe as they saw the wonderful presents brought by our house sponsors, The McKenna Family. It was our first birthday and such a very enjoyable one. I say thank you to Mama Mary and Papa Kevin, the management and our sponsors for the gifts. We know we are very lucky to live at The GLO as we have good food, clean beds and caring staff who make sure we are taken care of. What a fabulous blog Kanoti, it sounds like you all had a great day. Thank you to all that took part & helped to arrange such a special day for the Mckenna house.